Color: Black. El 02-ago-17 a las 18:06:12 H.Esp, el vendedor añadió los siguientes datos 1 X EVA Storage Case. Size: 7.5cm(2.95") X 7.5cm(2.95") X 3.1cm(1.22"). Ear Speaker Receiver For Blackview BV6000 BV6000S. Full LCD Ecran Display TACTILE Digitizer For Blackview BV5000~Noir. Full LCD Ecran Display TACTILE Digitizer For LG K4 / K120e k120~Noir. FULL LCD Ecran Display TACTILE for Huawei Honor 7A PRO 7C AUM-L41 L29~Noir. ☆ Adaptateur Micro USB vers Connecteur 8 pin pour iPhone 6/6plus 5 5s ☆. pour iPhone 6/6plus 5 5s 5c 4 4s iPad.etc. CANTIDAD: UN DESTORNILLADOR CON CABEZ DE ESTRELLA DE SEIS PUNTAS. CAT S60 SILICON CASE. VISIBLE CAT LOGO ON THE REAR OF PHONE. 1 X SMOKE BLACK. YOU BUY 1 CASE. ORDER 1 GET ONE MORE FOR FREE. Ecran Display LCD Display Part for Samsung Galaxy Tab 4 7.0 SM-T230. LCD Display Ecran w/ TACTILE for Samsung Galaxy Tab E 9.6 SM-T560 (Wifi)~Noir. FULL LCD Display Ecran w/ TACTILE Digitizer for Blackview BV5000~Noir. CANTIDAD: 2 TORNILLOS PENTALOBULARES. COMPATIBLE CON IPHONE 5 ,5S ,5C ,SE ,6 ,6S 6PLUS Y 6S PLUS. Le due palettine per sollevare i chip più delicati e staccare le piccole parti e la ventosa per staccare gli schermi. KIT RIPARAZIONE LCD TOUCH SCREEN SMARTPHONE. 2x palettine. LOTE DE 2 TORNILLOS PENTALOBULARES PARA IPHONE 5 ,5S, 5C Y SE. CANTIDAD: 2 TORNILLOS PENTALOBULARES. 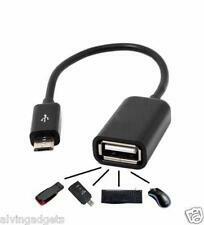 COMPATIBLE CON IPHONE 5, 5S, 5C Y SE Y TODOS LOS 6. Loudspeaker buzzer For Blackview BV7000/BV7000 PRO. NAPPE CONNECTEUR DOCK MICRO USB MICROPHONE POUR SAMSUNG GALAXY S5 G900F. Bescheid geben! Sehr guter Zustand, OVP & NEU. Plug Phone Verbindungskabel mit Mikrifon. JEDER KUNDE ERHÄLT SOFORT SEINE WARE. Zustand: sehr gut, Neu & OVP. Hier zum Schnäppchenpreis, scheuen Sie sich nicht einen Preis vorzuschlagen! Buy it now price for 1 tempered glass For Cat S40. 0.33Mm Tempered Glass For CAT S40. Model : S40. CHEAPER PLASTIC SCREEN PROTECTOR. Screen Protector. Style: Screen Protector. Manufacture: FOR CAT. - Easy installation and removal, without any scratches on screen. Am 04.04.19 hat der Verkäufer die folgenden Angaben hinzugefügt Fisheye lens can shoot 180 degrees scene; super wide-angle lens can capture the scenery sight; while the macro lens can shoot the small object more clearly. For Motorola Moto G5 Power Flex Power Volume Side Button Flex Cable Tool DJ. CAT S60 SILICON CASE. 1 X TRANSPARENT. VISIBLE CAT LOGO ON THE REAR OF PHONE. YOU BUY 1 CASE. PROTECT YOUR PHONE.